The VHI Women’s Mini Marathon takes place on Monday 6th June 2016, at 2pm. Make-A-Wish® Ireland is looking for women all over Ireland to join our ‘Wish Team’ and run, walk or crawl the 10k to help grant extraordinary wishes to brave children aged 3-17 years, battling life threatening medical conditions. I wish to be a Zookeeper! Wish Child Saoirse Brophy, from Dublin, is spurring on women all around Dublin to support Make-A-Wish Ireland in this year’s VHI Women’s Mini Marathon and help grant magical wishes to brave children aged 3-17 years, battling life threatening medical conditions. 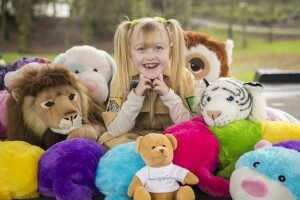 You will be helping to grant wishes like Wish Child Saoirse Brophy, from Clondalkin, who has Cystic Fibrosis and thanks to Make-A-Wish had her wish granted to be a Zookeeper! Since its inception in 1992 Make-A-Wish Ireland has granted wishes for over 1,800 brave children, realising their greatest wish and allowing them experience the hope, strength and joy each wish provides. If you would like to join the ‘Wish Team’ register online at makeawish.ie or call 01 205 2012. You will receive your very own Make-A-Wish fundraising race pack.